The piano is an instrument that can be used to play many different styles of music. Every student has their preference between Rock, Pop, Classical, Jazz or other genres. We are happy to teach all genres and give all our students the chance to play songs in a variety of styles making more rounded players. 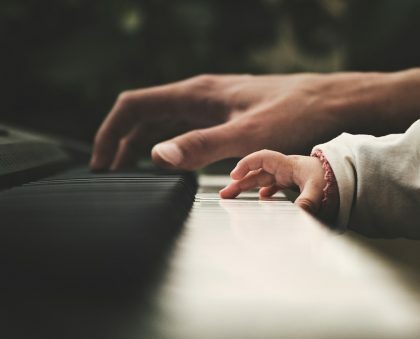 We can of course focus on the specific style that you want to learn, however our professional qualified piano teachers encourage you on the journey to becoming a successful rounded musician. Our number one priority, as with all our lessons, is for all our students, both children and adults to have as much fun as possible! Our lessons start from just 4 years old and regardless of what age you are, whether you are a total beginner or coming back to playing after many years, we would be delighted to welcome you into our school. Our students are all given the opportunity to work right the way through till their grade 8 exams. We offer the Rock & Pop Syllabus from the Trinity College of London. Trinity’s groundbreaking Rock & Pop exams for Bass, Drums, Guitar, Keyboards and Vocals provide an opportunity for rock and pop musicians to gain accredited qualifications through performing carefully chosen and arranged songs across the rock and pop genres. When completed, your grades are accepted by UCAS as points to go towards your higher education.